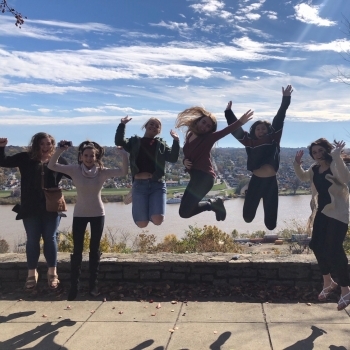 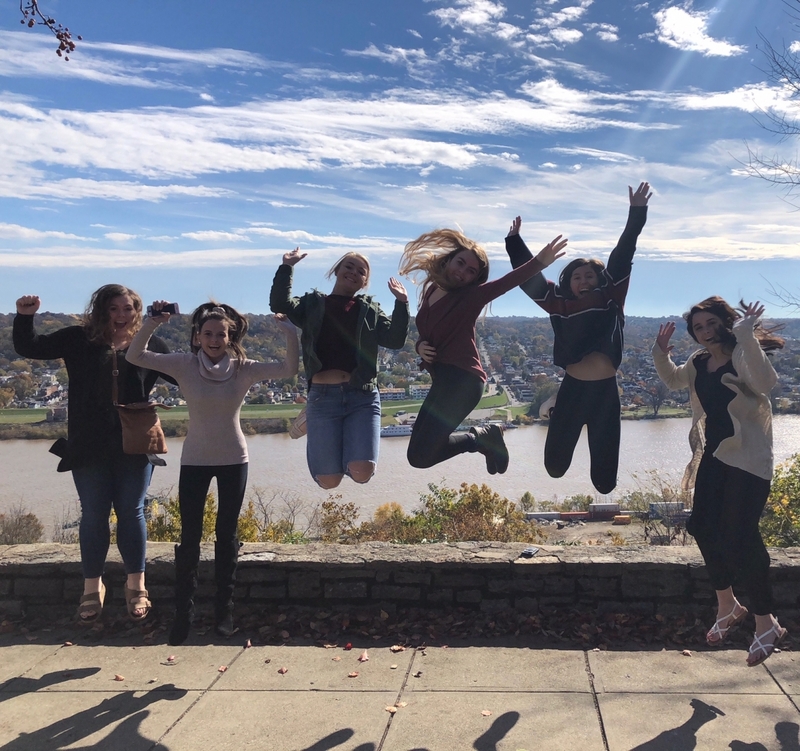 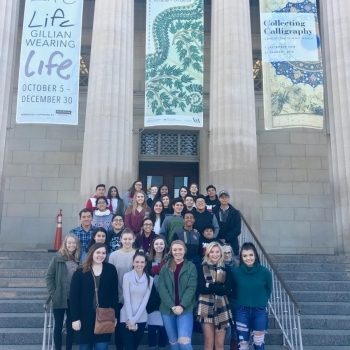 The AP Art History and Studio Art AP students explored the Cincinnati Art Museum and made a quick stop in Eden Park with our 14 Guatemalan Exchange students from La Antigua. 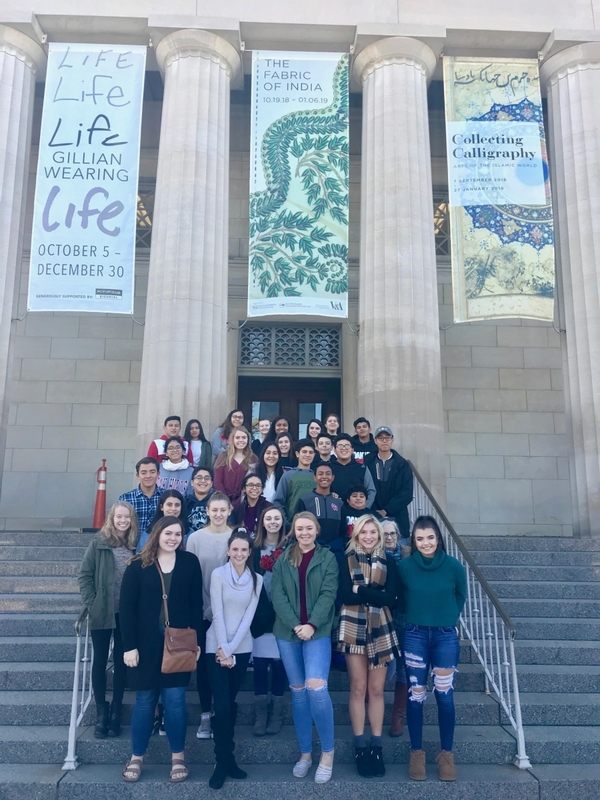 Part of the exchange is to experience the rich cultural resources related to the visual arts that our Greater Cincinnati community provides. 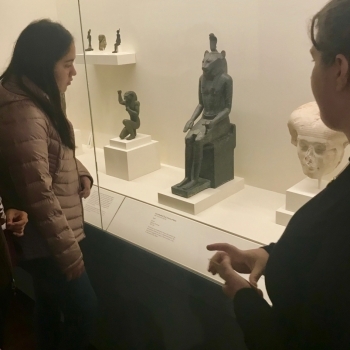 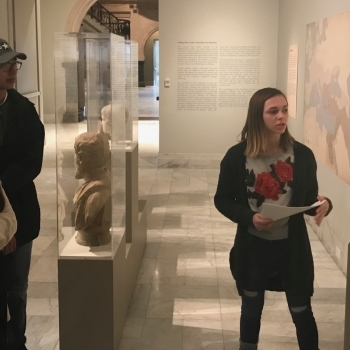 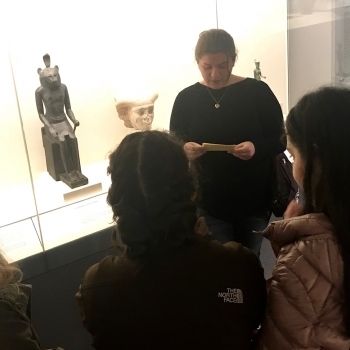 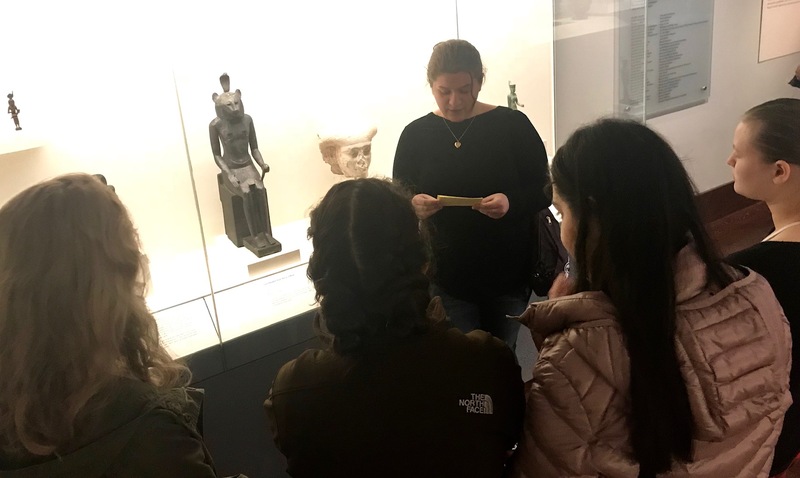 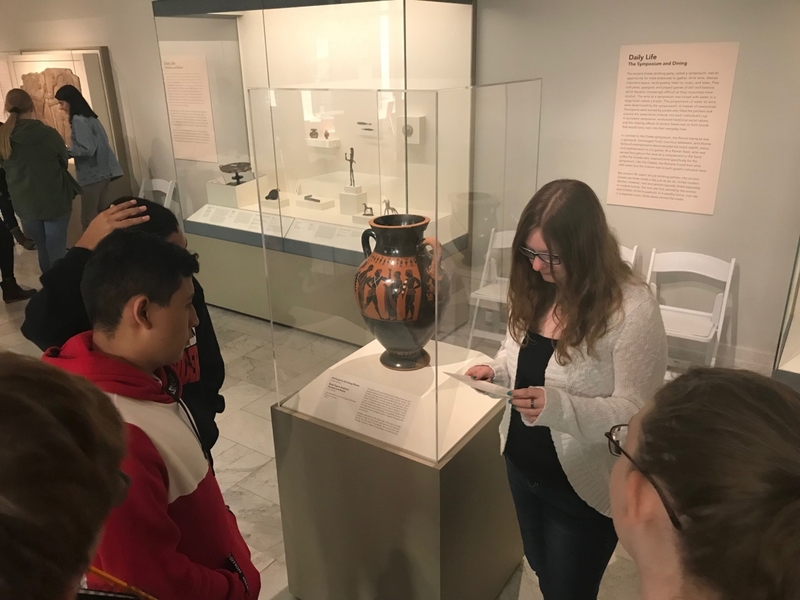 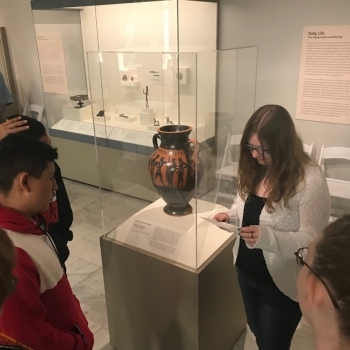 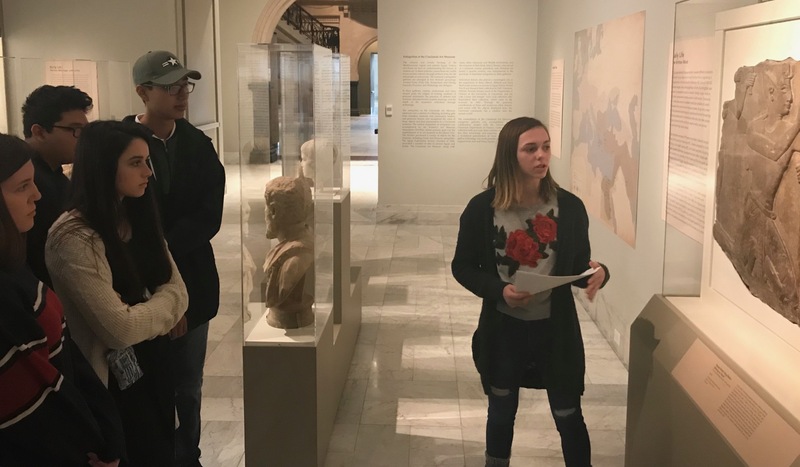 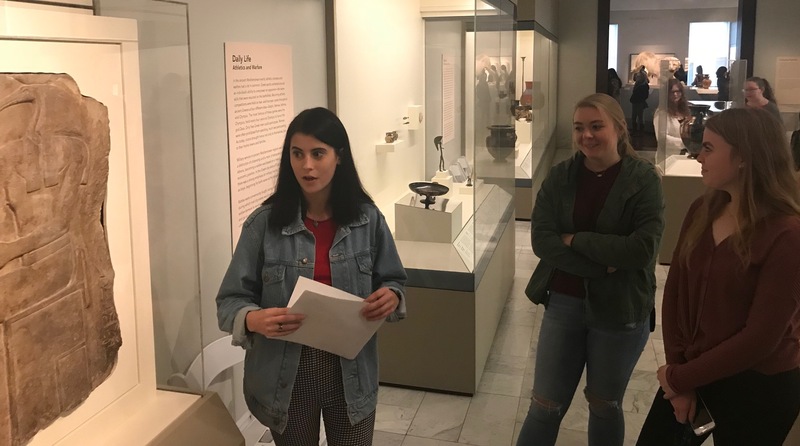 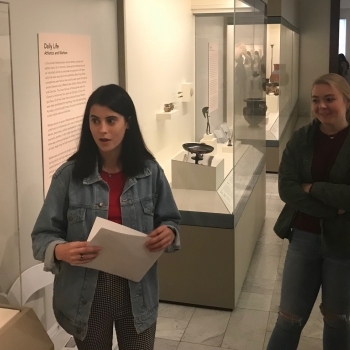 On the visit to the CAM, the AP Art History students served as docents and presented information about artwork from the Antiquities collection to their fellow students. 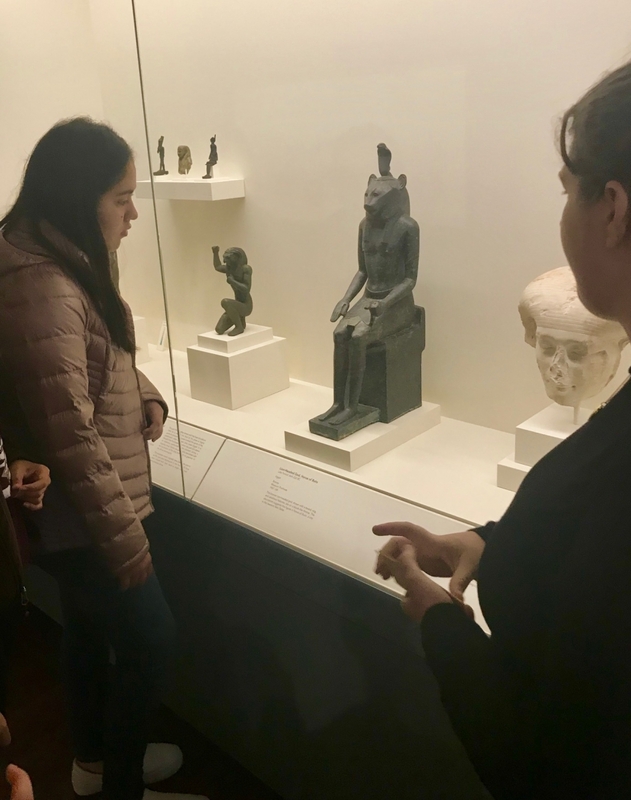 The tour concluded with a visit through the rest of the museum's galleries and exploring the collection that includes artworks from around the world...many of which are currently being studied in the AP Art History course!